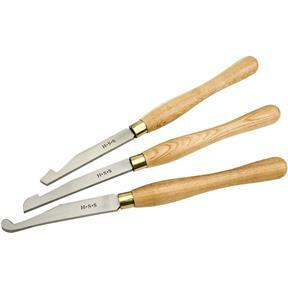 These scraping chisels are ideal for bowl turning and detail work. Each chisel measures roughly 16" long with 10" ash handles and the high speed steel blades measure a full 7/32" thick! The set includes one round, one curved, and one 90° corner chisel. 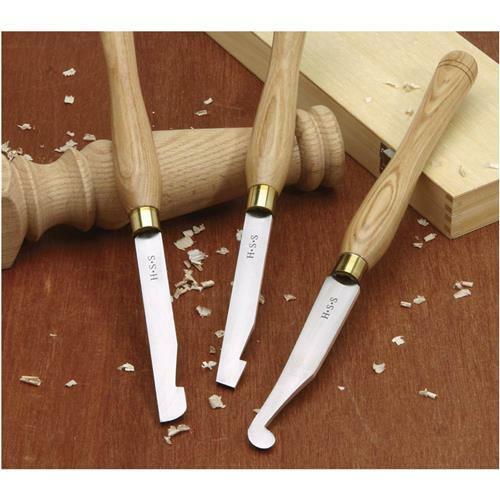 Chisel set is protected in a fitted wooden box. Makes things a lot easier and easy to reach. Very solid product.